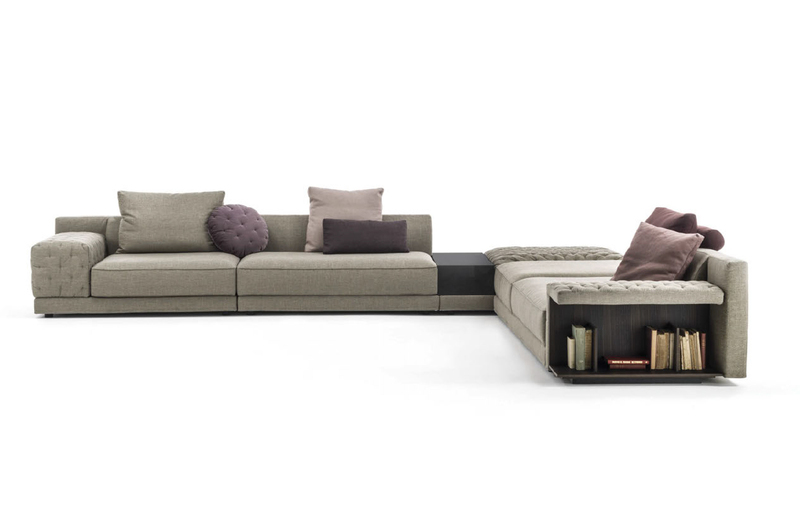 Modular sectional sofa with smooth cushions or tufted detailing. Available to order as a one-arm sofa, armless sofa, chaise, or ottoman. Arm can be upholstered, tufted, or as an open wooden shelf. Individual elements can be linked together to achieve the overall layout and dimensions desired. Please contact Usona directly to review available elements and suggested configurations.